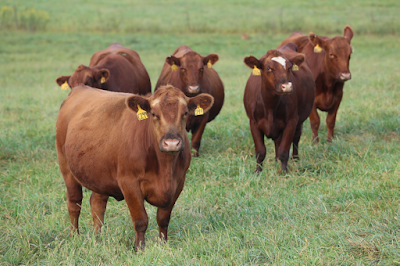 One of the big questions in feed efficiency has been whether feed efficiency of heifers in the growing stage reflect feed efficiency of cows in the maintenance stage. There is a lot of buzz around efficiency because we are facing a growing world population, increased competition for resources, volatility of feed prices. Why have we not seen improvement in feed efficiency? One reason is the traditional focus on outputs such as weaning weight, yearling weight and carcass weight. But, feed intake has been difficult to measure in the past. When we think of feed efficiency in the feedlot, the framework is fairly straightforward, feedlots buy feed and sell beef. But, efficiency in the cow herd is more complicated as there are varying feeding strategies and marketing strategies. We can measure feed efficiency as residual feed intake (eating less than predicted based on body weight and growth is efficient) or as residual gain (gaining more than predicted based on body weight is efficient). Historically, we have thought that in a restricted feed resource environment we should identify cows with moderate size and moderate milk production. But, not all moderate sized cows have low feed intake and not all large cows have high feed intake! We need to approach this from a more detailed perspective looking at actual feed intake and performance. From the University of Illinois data, the females that had lower feed intake as a heifer also had lower intake as two-year old cows. Residual gain did not have impacts on cow performance, thus we can select for increase residual gain and not affect our cow herd. The correlation between heifer intake and cow intake was about 45%. 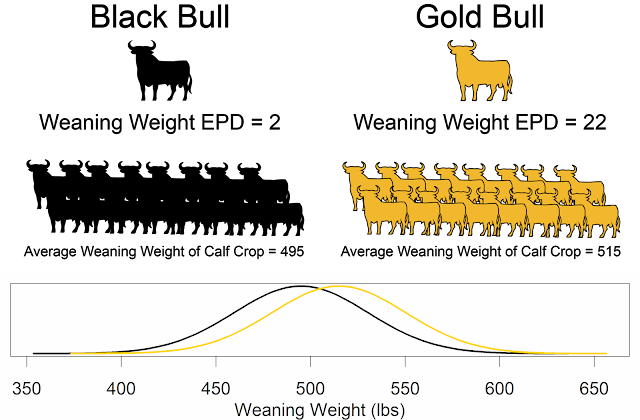 Their data suggest very limited antagonistic relationships between feed intake and maternal traits. In conclusion, Shike makes the important point that we should include feed intake in selection indexes. This would ensure that feed intake was selected in a systematic fashion balanced for the economic importance of feed intake and other production traits.